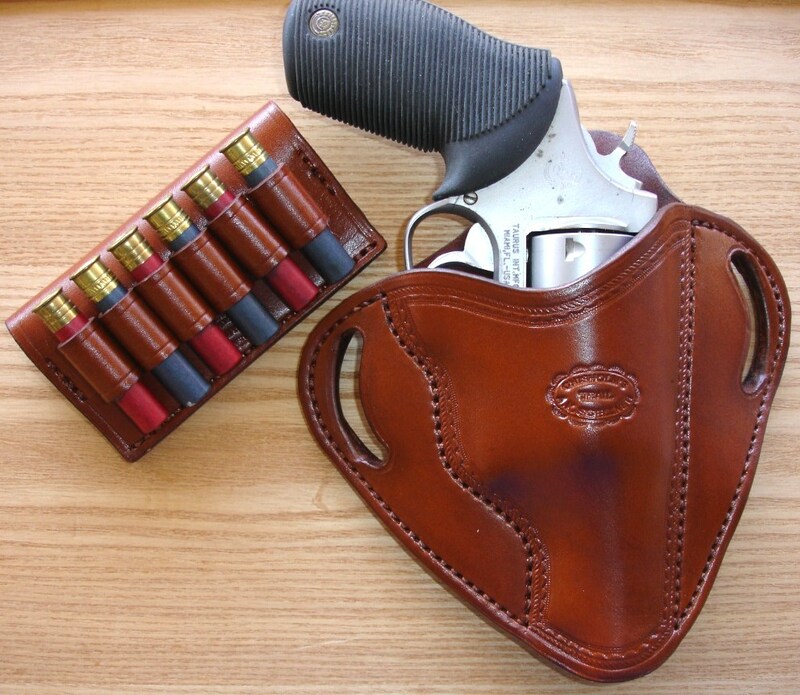 Hey, both Taurus with the Judge and it’s various barrel lengths, calibers, and finishes- and the Smith & Wesson Governor provide a really neat gun that can shoot both Colt 45 cartridges and .410 shot shells. The Judge has 5 shots and the Governor has six. 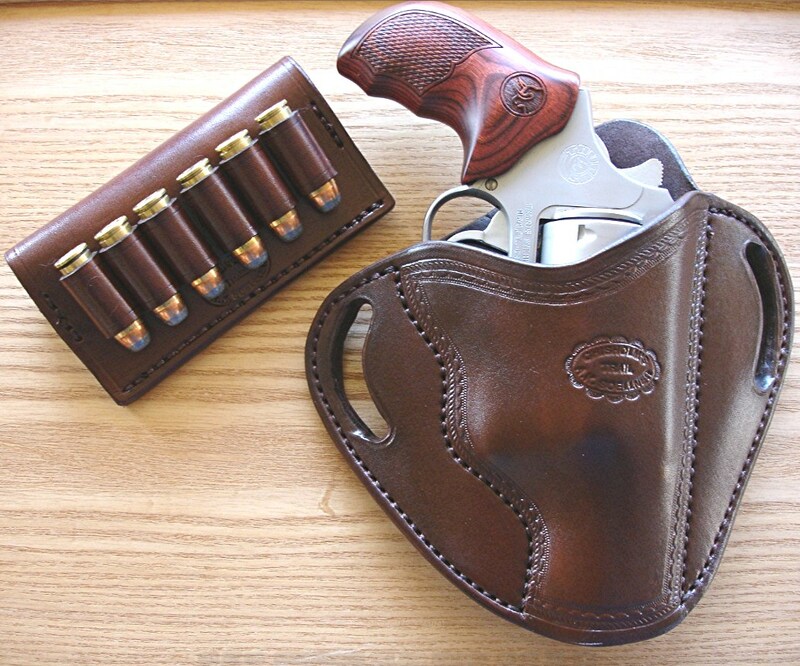 We now provide both over the belt, slide and thumb snap holsters in both strong side and cross draw configuration. Attached are some of our photos. 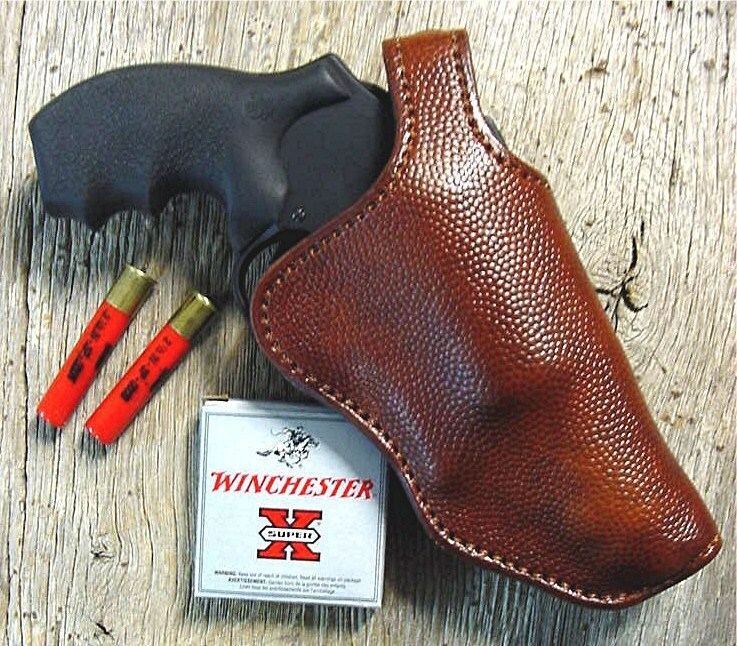 Contact us at westernleatherholster.com or call (678) 423-7351 for your own. This entry was posted on Thursday, November 22nd, 2012 at 4:16 pm	and is filed under Uncategorized. You can follow any responses to this entry through the RSS 2.0 feed. Both comments and pings are currently closed.